The Baker’s Dozen Chocolate Doughnut flavour concentrate gives the delicious taste of sweet doughnuts with a rich and creamy chocolate background. 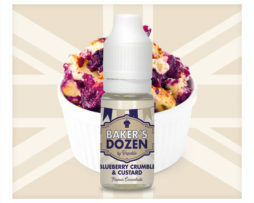 Founded in sunny Southport UK, the Baker’s Dozen brand of flavour concentrates was created to provide vapers with a range of bakery-themed e-liquid flavours that have been carefully blended to make each one a unique vaping experience. 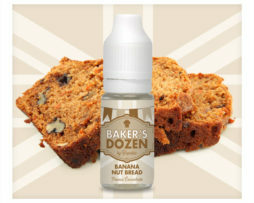 Baker’s Dozen flavours have been based on prizewinning recipes submitted to the summer fete bakery contest and judged by the vicar. 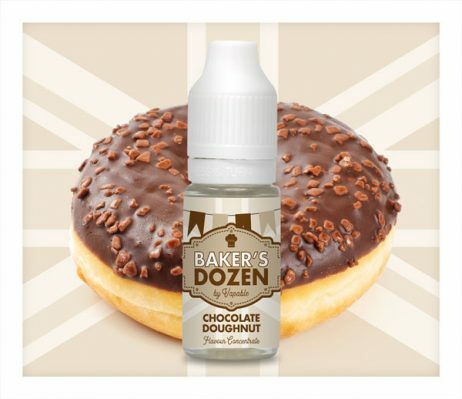 Every bottle of Baker’s Dozen flavour concentrate is mixed by hand in their hygienic UK production facility to recipes that have been created, tried and tested in-house by their artisan mixologists, whose mission is to create the finest quality flavours possible. 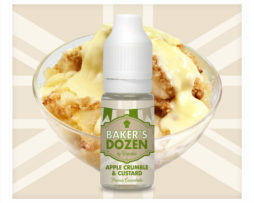 Natural and Artificial Flavours, Propylene Glycol, Water, Caramel Colour. 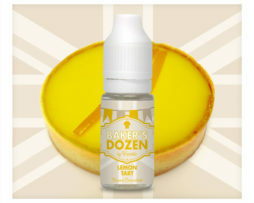 We suggest mixing most Baker’s Dozen concentrates at approximately 15% initially and then adjusting to your personal taste. All of the Baker’s Dozen concentrates we stock are PG based. Very sickly and not a great flavour at all. I had high hopes for this as I love the other Bakers Dozen concentrates I've tried but this one really didn't live up to my expectations. Very sickly and not a great flavour at all. I had high hopes for this as I love the other Bakers Dozen concentrates I’ve tried but this one really didn’t live up to my expectations.